A sincere thank you to everyone for taking the time (on a particularly beautiful evening!) to hear our views on the proposals for Blue House to Haddrick’s Mill. It was certainly a very full Trinity. A special thank you to the Trinity members who helped us with the technology and seating. What sort of a city do we want to live in? How do we get around? What sort of a city do we want our children to inherit? What do we need to change to achieve it? Feel free to leave comment here and let us know your views. SPACE is particularly interested in creating alternatives to the current monstrous plan. While the Blue House plan is creating considerable interest/anger/astonishment don’t forget to include in your comments suggestions on how to resolve the variety issues Haddrick’s Mill to Blue House proposals indentify. This entry was posted in Blue House, future, Residents Views and tagged Blue House, Haddricks Mill, public meeting on August 17, 2016 by SPACE for Gosforth. I thought that it was a very good meeting, although a bit drawn out in parts. Thanks to all who had a part in organising it. I think that what came out of it was that we need a two pronged response to this crazy scheme as it is planned. We need to question the very projections, premises and planning tools that the Council has used to devise it, as well making it very clear to them that we reject it as it stands. But we also need, as was said, to guide them towards a positive alternative. Thanks for the feedback Paul, much appreciated. It’s essential as you say, that we adopt the two pronged response. Beyond our anger at the proposals it’s critical that we give/guide the Officers into the positive alternatives. It will not be easy, but I genuinely believe that the Officers are listening – we just need to convert the listening into a different course of action! I was at the meeting last night and would like to thank Space for Gosforth for setting this up at such short notice. Above all it will have helped draw people of our communities together in looking for solutions to the current crisis, and for trying to build a much better future for people living in and around Newcastle. 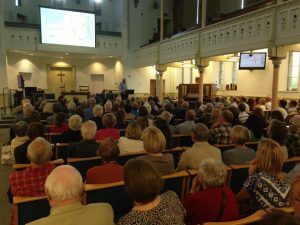 There was a question at the end of the meeting about a rumour that the City Council would be swopping land with The Freemen of Newcastle to take land from Dukes Moor and Little Moor for the new roundabout at the Blue House site. I would just like to convey about my own knowledge about this. At the time of that conversation I was unaware that the drawing in blue and red was actually showing the scheme on a pale grey map. This was because I had only glimpsed it briefly on the wall in the small, quite dark and crowded room at Jesmond library where the displays were set up. So, I then went on to ask Mr Higgins if they had a drawing showing what specifically would be taken from the Moor. 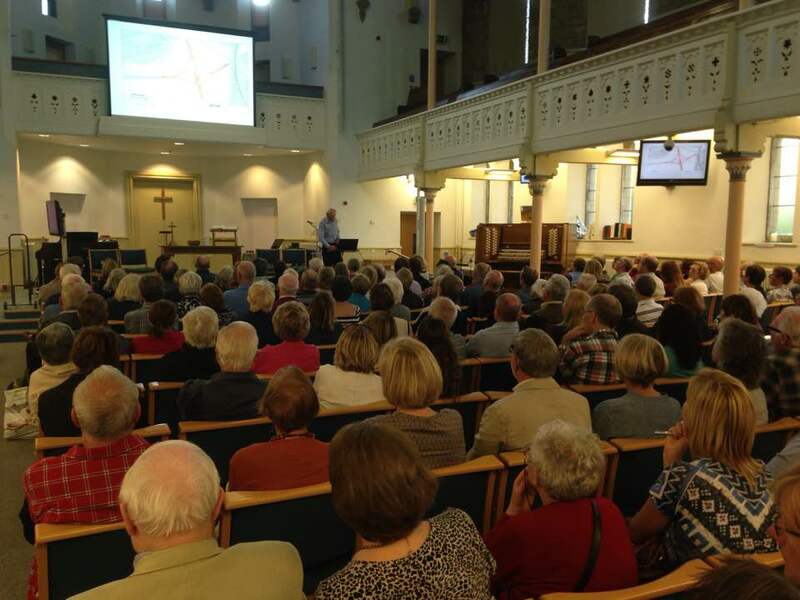 I was astonished to hear the first speaker say – without batting an eyelid – that part of the council’s justification for all these roadworks is predictions of more traffic because of building on the Green Belt. We have a planning system, operated by the same council. And it includes a Green Belt exactly to stop the sprawl which leads to traffic. It is not as if the City is short of brownfield land. So they could stop development of the Green Belt if they wanted to. Otherwise we will have the mad situation where Green Belt land owners enrich themselves at the expense of the taxpayer (2o million this year alone) and of the amenity we should all enjoy on the Town Moor. They are certainly building on Green Belt. I am on holiday just now and so appreciate the pdfs (though I was unable to access the accompanying notes).I would like to make one observation. As a cyclist, pedestrian and dog walker, I have serious concerns about the safety of shared pathways (the town moor path being particularly hazardous at peak times now) and would like to see cycle paths safely separated out in any future proposals. SPACE team agrees with you Anne. We will be publishing a summary from the meeting to accompany the slides.